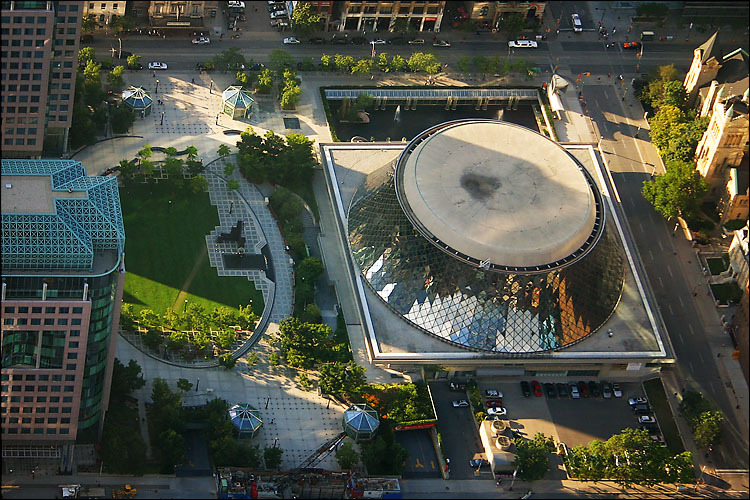 roy thomson hall located on king street in downtown toronto seen from cn tower's skypod. update: just to answer a couple of questions; yes this is cropped since the kit lens is simply not long enough. and about shooting through the skypod's glass windows, i used a circular polarizer filter on the lens to eliminate the unwanted reflection on the surface of the glass.